Made with a natural energy blend, this powder drink mix is a completely new idea in energy drinks! By combining this potent proprietary blend of energizing & appetite suppressing ingredients with water 1-3 times a day, you keep your body hydrated, boost your energy and curb snack cravings between meals. 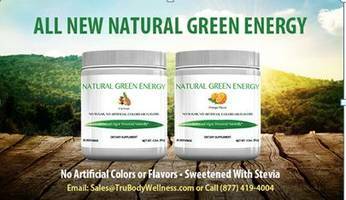 Natural Green Energy features a proprietary blend of these powerful energy enhancing and weight loss ingredients. 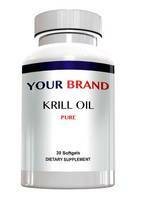 You can private label this energizing supplement starting at 96 bottles. You can customize your own version starting at 1500 bottles. To learn more, visit our web site at www.trubodywellness.com, call us at 877-419-4004 or email at sales@trubodywellness.com. Tru Body Wellness specializes in private labeling supplements and our minimum orders of our standard products start at only 100 bottles. 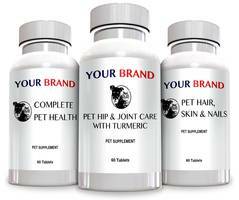 We can design your label for free. We can also provide custom formulas starting at an industry low 500 bottles for capsules and 1500 bottles for tablets, liquids and powders. For our stock product, once your label is designed we can typically ship from stock within 3 business days. All our products are made in FDA inspected and cGMP certified facilities in the US.